We have written a lot about how you can upgrade to Windows 10 for free How to Upgrade to Windows 10 Now & Why You Should Wait How to Upgrade to Windows 10 Now & Why You Should Wait Have you been waiting patiently since July 29 for your Windows 10 upgrade? You should probably wait until you receive an official notification, but if you are determined, you can force the Windows 10 upgrade. Read More , if you’re currently running Windows 7 or Windows 8.1. Maybe you’re not ready to make that step and commit without trying the new operating system (OS) first. Or maybe you don’t qualify for the free upgrade, but would like to play with Windows 10 anyhow. Here we compile the ways you can try Windows 10, whether you have a Windows, Linux, or Mac computer. Before you dive into the details, lets make sure you computer is compatible with Windows 10 Is Your Computer Compatible with Windows 10 & Can You Upgrade? Is Your Computer Compatible with Windows 10 & Can You Upgrade? Windows 10 is coming, possibly as soon as July. Are you eager to upgrade and will your system be eligible? In short, if your computer runs Windows 8, it should also run Windows 10. But... Read More . 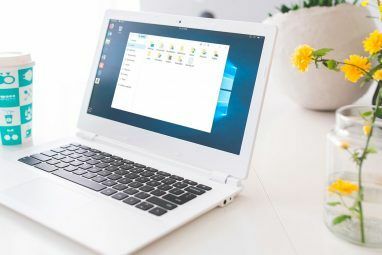 If you would like to dual boot Windows 10 next to your current operating system, you will need a separate partition on your system drive How to Set Up a Second Hard Drive in Windows: Partitioning How to Set Up a Second Hard Drive in Windows: Partitioning You can split your drive into different sections with drive partitions. We'll show you how to resize, delete, and create partitions using a default Windows tool called Disk Management. Read More or a separate drive to install the new OS on — this can be an external drive. For the dual boot option, we recommend at least 30 GB of space, especially if you would like to test software under Windows 10. For managing Windows partitions Manage Your Hard Disk Partitions Like A Pro With EaseUS Partition Master [Windows] Manage Your Hard Disk Partitions Like A Pro With EaseUS Partition Master [Windows] When you ask a tech crowd about disk partition managers, many people will agree that EaseUS Partition Master is the best tools for the job. Why? Because it offers many great features, yet remains easy... Read More , we recommend EaseUS Partition Master. The tool will guide you through the steps needed to slice off available space from a drive in use, which you can then allocate to a new drive partition. It’s highly recommended that you prepare a backup of your data before you do this. Finally, you might need a USB flash drive with at least 3 GB of space. You have two options for obtaining Windows 10 installation files. If you qualify for the free upgrade, you can download a Windows 10 ISO image. Otherwise, you can download the 90 day evaluation copy for Windows 10 Enterprise. From your Windows machine, you can run Microsoft’s Windows 10 Media Creation Tool to upgrade directly or download installation files. Note that you can use these installation media only on computers that qualify for the free upgrade to Windows 10! 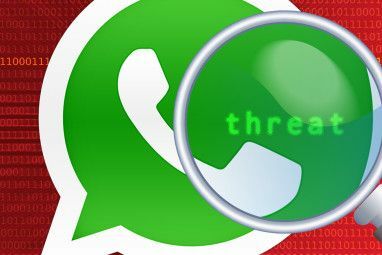 Download the appropriate version for your machine, i.e. for a 32-bit or 64-bit architecture What's the Difference Between 32-Bit and 64-Bit Windows? What's the Difference Between 32-Bit and 64-Bit Windows? What's the difference between 32-bit and 64-bit Windows? Here's a simple explanation and how to check which version you have. Read More . Launch the EXE file you downloaded, select Create installation media for another PC, and click Next. Choose your Language, Edition (same as your current Windows edition), Architecture, and when you’re done click Next. Now you can either download an ISO file, which you can use to create a bootable DVD or USB How to Make a Bootable USB/CD/DVD to Install Windows Using an ISO File How to Make a Bootable USB/CD/DVD to Install Windows Using an ISO File Need installation media to reinstall Windows? Our tips show you how to create a bootable USB, CD, or DVD from scratch. Read More , or let the tool prepare a USB flash drive (minimum size 3 GB) for you. If you’d like to try Windows 10 in a virtual machine or if you’d like to set up a dual boot on your Mac, download the ISO file! Some people have reported that the latter didn’t work for them. If you run into this issue, start over, download the ISO file, and create a bootable flash drive using the resources mentioned in the next section. To obtain the Windows 10 Enterprise evaluation copy, you will need to log in with your Microsoft account and register for the download. After answering the questions, continue to select whether you’d like to download the 32-bit or 64-bit version, continue to pick your language, hit Continue one last time, and — if it doesn’t start automatically — click Download to save the ISO file. You can use the ISO file to create a bootable USB flash drive. 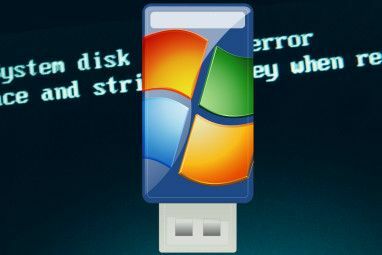 We have previously recommended several free ISO to bootable USB tools 10 Tools to Make a Bootable USB From an ISO File 10 Tools to Make a Bootable USB From an ISO File Installing an operating system from a USB drive is quick and portable. We test a few ISO to USB tools to find the best one for you. Read More , my personal favorite being Rufus. Note that Windows 8.1 can natively mount (“access”) ISO files No DVD Drive? No Problem! Create And Mount ISO Files For Free With These Tools No DVD Drive? No Problem! Create And Mount ISO Files For Free With These Tools My computer doesn’t have any optical drives anymore. That means CD drives, DVD drives, Floppy drives--they’ve all been cut out and done away with forever. If a particular piece of peripheral gear doesn’t have a... Read More . With the installation files prepared, you can proceed with installing Windows 10. Once more, you have several options. You can either dual boot the OS or run it inside a virtual machine. The latter is less tricky to set up, but since virtual machines require extra resources, they can be buggy and thus won’t give you a smooth Windows 10 experience. If your system barely meets the minimum requirements of running Windows 10, you’re better off with a dual boot. Dual booting the Windows 10 Enterprise Evaluation copy will work on any Windows system and on your Mac. Installing a Windows dual boot on a Linux machine can be complicated, since Windows overwrites the Linux boot loader (GRUB) with its own. Although we’ve previously shown you how to fix that, we’d recommend you to go the virtual machine route (see below). As mentioned previously, to use installation media created with the Windows 10 Media Creation Tool, you will need a Windows 7 or Windows 8 product key to activate Windows 10. If you have a newer computer with the product key embedded on the UEFI BIOS Discover Your BIOS & Learn How to Make the Most of It Discover Your BIOS & Learn How to Make the Most of It What the heck is the BIOS, anyway? Is it really that important to know? We think so and fortunately it's pretty easy. Let us introduce you. Read More , you can run your old Windows version and Windows 10 next to each other, and Windows 10 should activate automatically. Creating a dual boot on a Windows machine is straightforward. Briefly, start the setup from your installation media, install Windows 10 on the partition you designated for it, and choose which operating system you’d like to launch the next time you’re booting your computer. We’ve previously outlined the steps for installing a dual boot for Windows 8 with Windows 7 Not Sure About Upgrading? Then Why Not Dual Boot Windows 8 With Windows 7? Not Sure About Upgrading? Then Why Not Dual Boot Windows 8 With Windows 7? Are you interested in Windows 8, but don’t want to abandon Windows 7 just yet? Well, why not dual-boot Windows 8 and Windows 7, selecting the operating system you want to use each time you... Read More and the process essentially hasn’t changed for Windows 10. Tip: Should you enjoy your Windows 10 installation so much that you wish you had upgraded, know that you can import the settings and apps from your previous Windows version How to Upgrade to Windows 10 & Take Settings and Apps with You How to Upgrade to Windows 10 & Take Settings and Apps with You Windows 10 is coming and you have a choice to make. Either you upgrade your existing Windows installation, or you can install Windows 10 from scratch. We show you how to migrate to Windows 10... Read More . On OS X, Boot Camp will help you dual boot Windows. Briefly, launch the Boot Camp Assistant from the Utilities folder, and follow the on-screen instructions. The tool will automatically create the install disk (have a flash drive and the ISO files ready), a partition, and download drivers. We thoroughly described how to dual boot Windows on your Mac How To Try Out Windows 8 On Your MacBook Air How To Try Out Windows 8 On Your MacBook Air If you're reading this article, you're probably a user of Mac OS X, but that doesn't mean you shouldn't be intrigued. If Windows 8 has captured your interest, why not take it for a test... Read More in a separate article. If you don’t want to mess with partitions or the boot loader and if you have a powerful system, a virtual machine Testing A New Operating System? Stay Secure With A Virtual Machine Testing A New Operating System? Stay Secure With A Virtual Machine Read More is the easiest and safest way to try Windows 10. 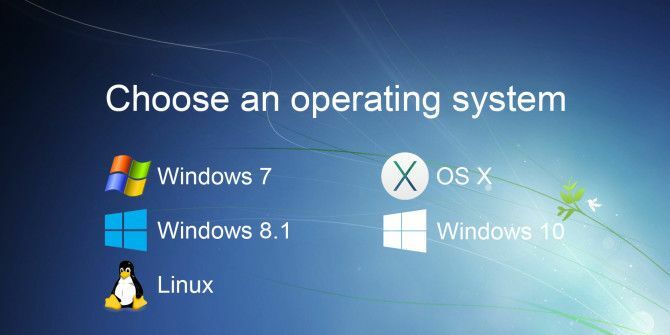 You can create a virtual machine on Windows, Linux, and Mac and it works much the same on any OS. We recommend VirtualBox, which is available free for all three operating systems. Start with setting up VirtualBox How to Use VirtualBox: User's Guide How to Use VirtualBox: User's Guide With VirtualBox you can easily install and test multiple operating systems. We'll show you how to set up Windows 10 and Ubuntu Linux as a virtual machine. Read More , then install Windows 10 using the ISO file. As mentioned above, you can use the ISO file from the Windows 10 Media Creation Tool, if you have a Windows 7 or 8 product key or if the product key is embedded on the UEFI BIOS of your device. Otherwise, use the Windows 10 Enterprise Evaluation copy. VirtualBox setups can be buggy. If you run into issue, play with the settings, such as the amount of RAM (Base Memory) shared with the virtual OS. Are You Curious Enough to Give Windows 10 a Try? Windows 10 will be with us for many years to come. We don’t recommend upgrading unless you are really keen, but it’s worth getting to know the OS of the future; you might end up liking Windows 10 10 Compelling Reasons to Upgrade to Windows 10 10 Compelling Reasons to Upgrade to Windows 10 Windows 10 is coming on July 29. Is it worth upgrading for free? If you are looking forward to Cortana, state of the art gaming, or better support for hybrid devices - yes, definitely! And... Read More ! The benefit of the methods above vs. upgrading is that if you end up not liking Windows 10 Stop the Windows 10 Download & Installation on Your Windows 7 or 8 Device Stop the Windows 10 Download & Installation on Your Windows 7 or 8 Device If your Internet has been slower than usual or if you noticed less disk space, you can probably blame Microsoft. Windows Update may have downloaded the Windows 10 installation files behind your back. Stop it! Read More , you can simply delete the virtual machine or dual boot partition. How did you first try Windows 10? If you haven’t, yet, tell us which method you’re most likely to use or what keeps you from giving Windows 10 a try. Explore more about: VirtualBox, Windows 10. How do you download Windows 10 while running Linux only machine? I've tried Windows 10 in a virtual machine and it's pretty good, however I much prefer the Kubuntu 15.10 that I currently use as it is free, is full of useful programs, and is filled with a level of customization that is not a part of Windows unless a third party program is involved. People are, in my opinion, free to use whatever OS that want but for those haven't, I strongly recommend giving a Linux distribution a try. I did so on a whim and now I would never go back to Windows. Again that is just my opinion and all you out there in internetland are free to use whatever you want to use. Have a good day! I agree with Dan; if Microsoft does not give a free upgrade from Windows Vista, then try one of the LTS versions of Linux 17 (Rafaela of Qiana) which can be installed next to Windows Vista (dual-boot) or first try out the live DVD or USB versions. With A Dual Core Processor, XP Does Everything I Want And Fast Enough. Lots Of Browsers Still Support It. I Do Not See Any Need For **Downgrading**, Whatsoever. "Windows 10 will be with us for many years to come. " Unless Microsoft crosses everybody up and comes out with Win 11 or 12. "We don’t recommend upgrading unless you are really keen"
One of these days MS will decommit support for Win 7 and 8.x and then everybody will have to upgrade. It's rare that commenters waste time on these pages expressing the bleeding obvious. If it is so "bleeding obvious" that M$ will come out with Win 11 or 12, why does MUO keep repeating the Microsoft tripe that Win 10 is the last Windows version ever? If it is so "bleeding obvious" that M$ will end support for Win 7 and 8.x and everyone will have to upgrade, why the comment "We don't recommend upgrading...."?